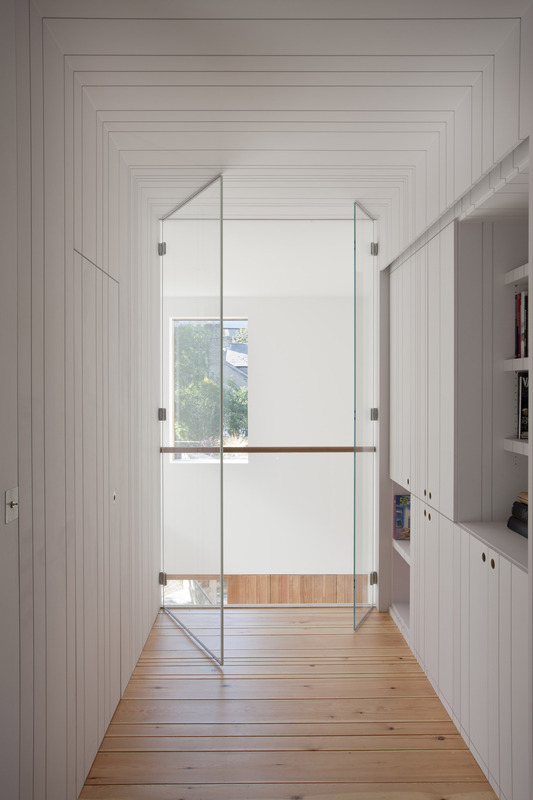 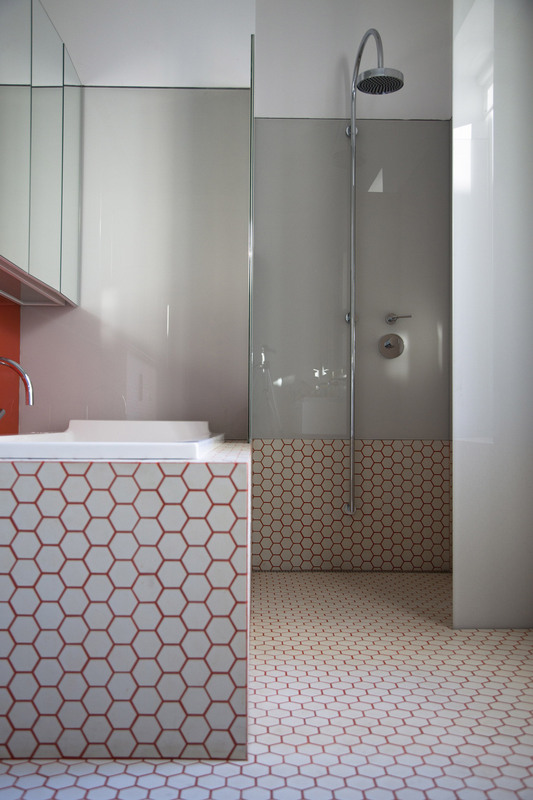 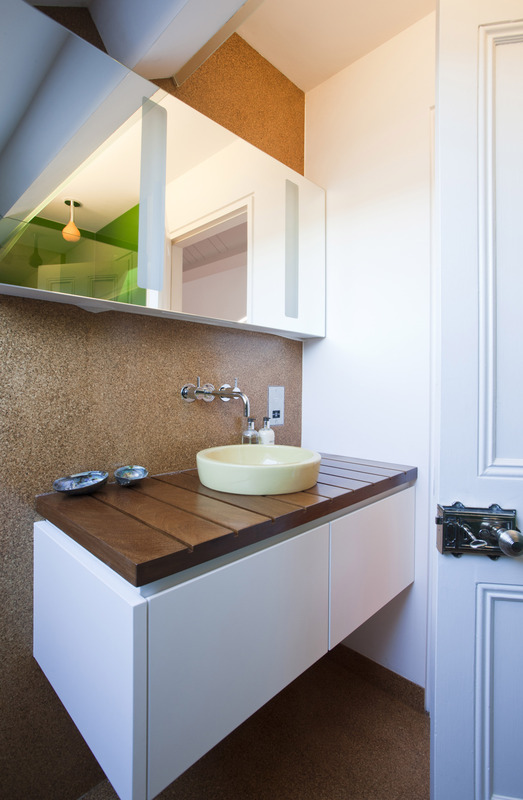 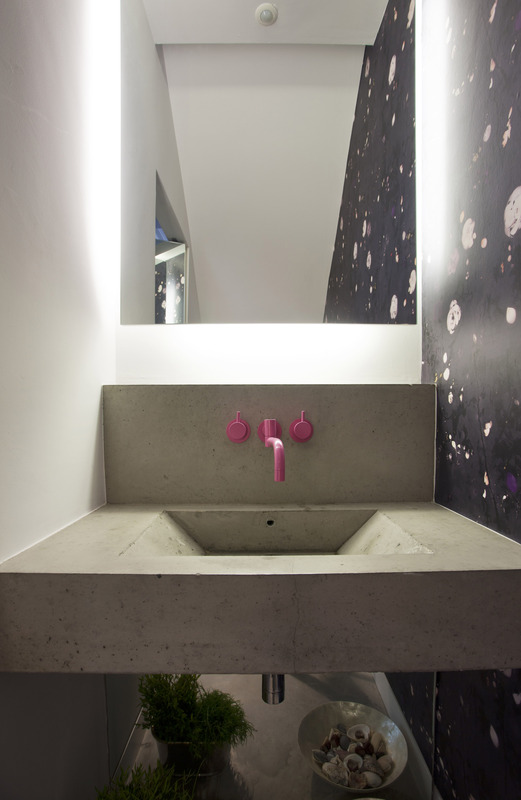 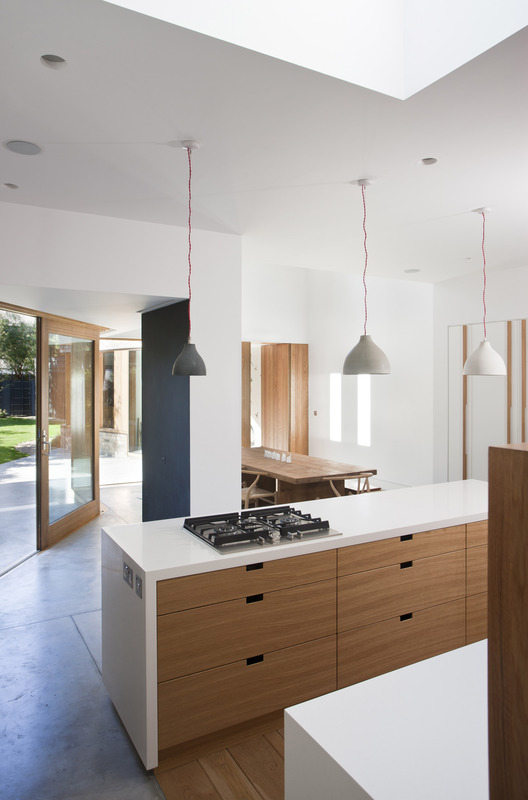 This project was completed while working with Peter Legge and Lisa Mc Sharry at PLA architects. 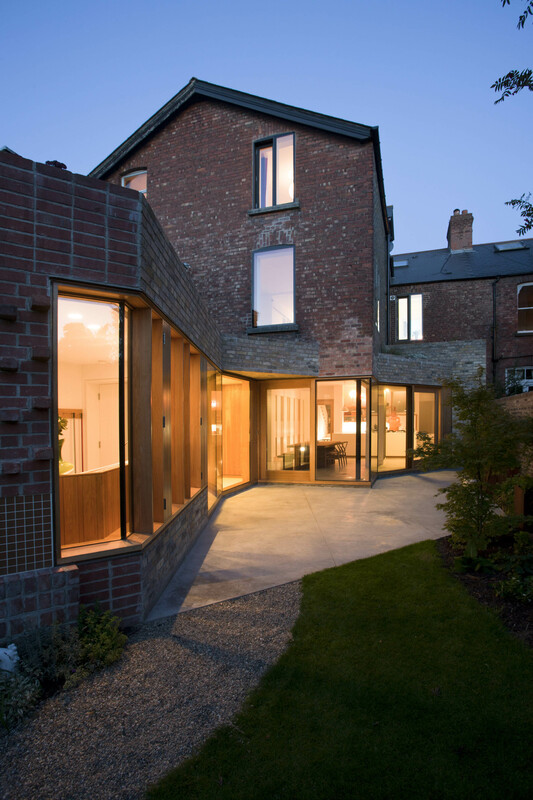 This period house had a cellular layout to the ground floor with no space relating to the South facing garden. 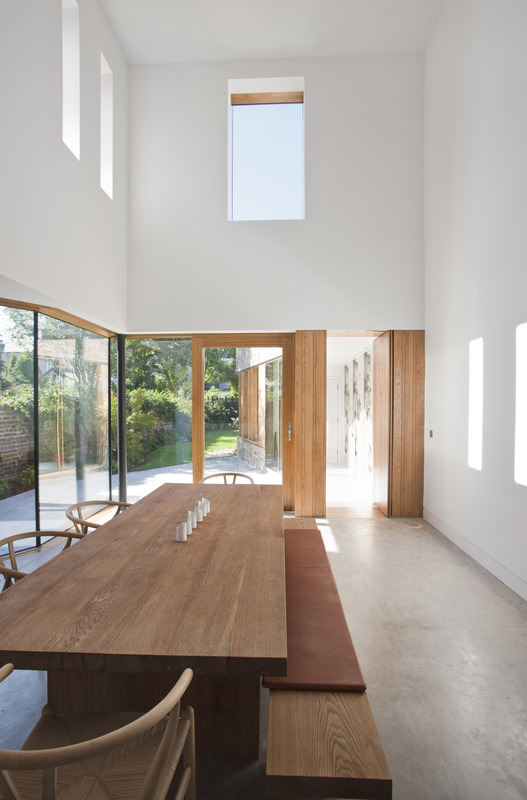 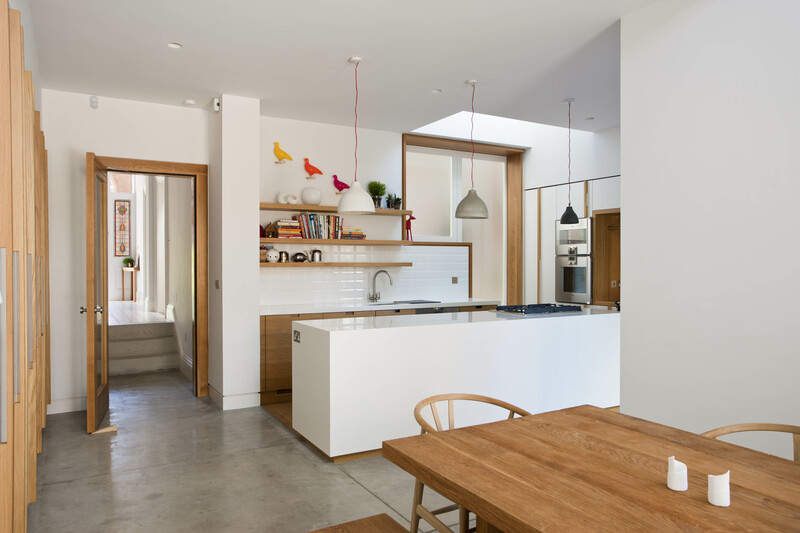 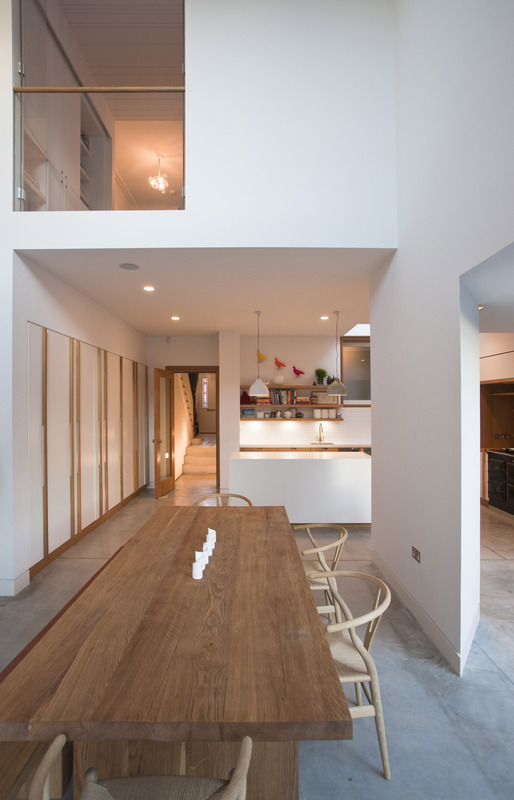 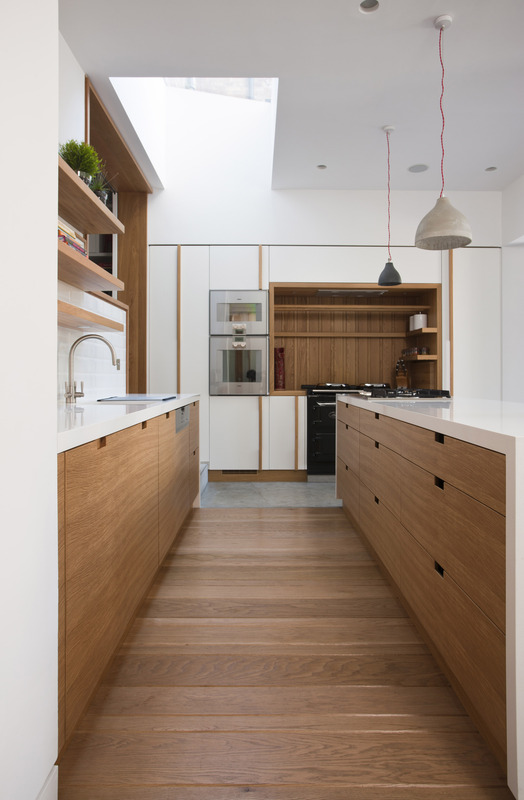 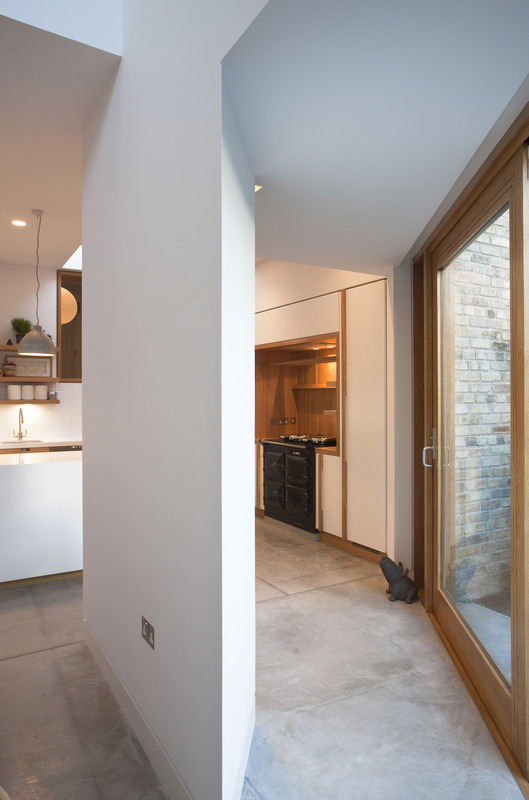 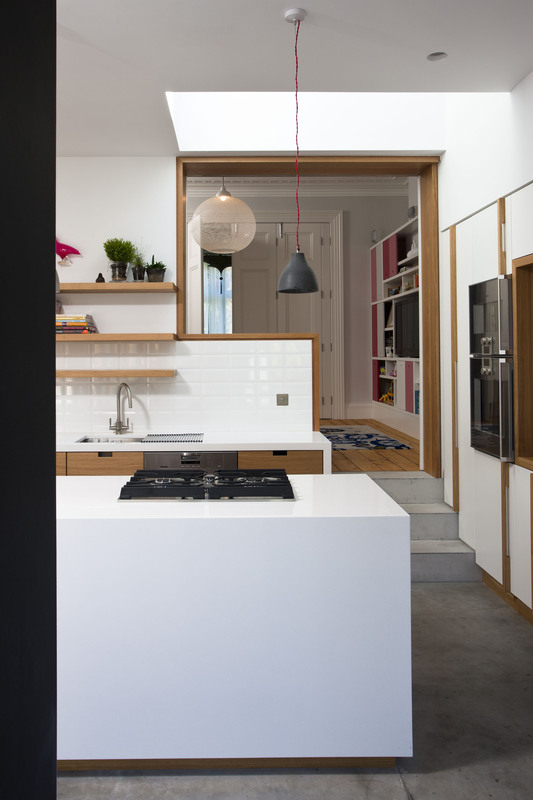 The removal of the ground floor walls in the return allowed an open plan kitchen dining area to communicate directly with the garden and link through to the original reception rooms. 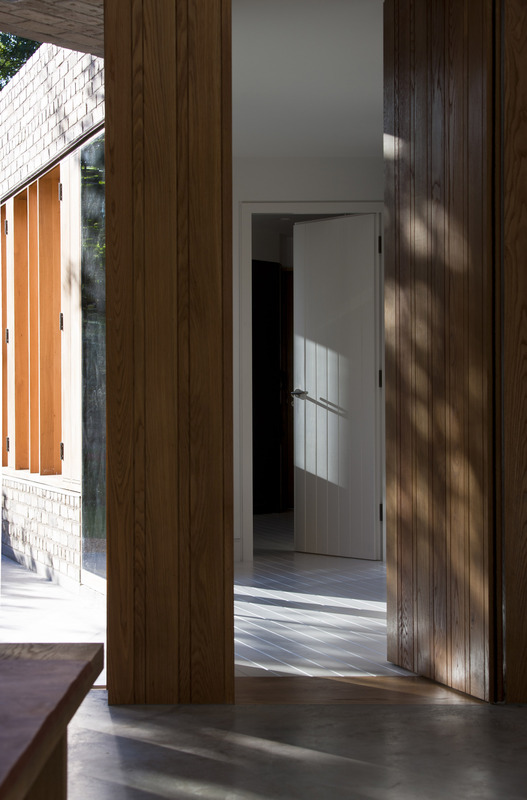 The interconnecting ground floor spaces all have optional amounts of enclosure with sliding screens and folding doors. 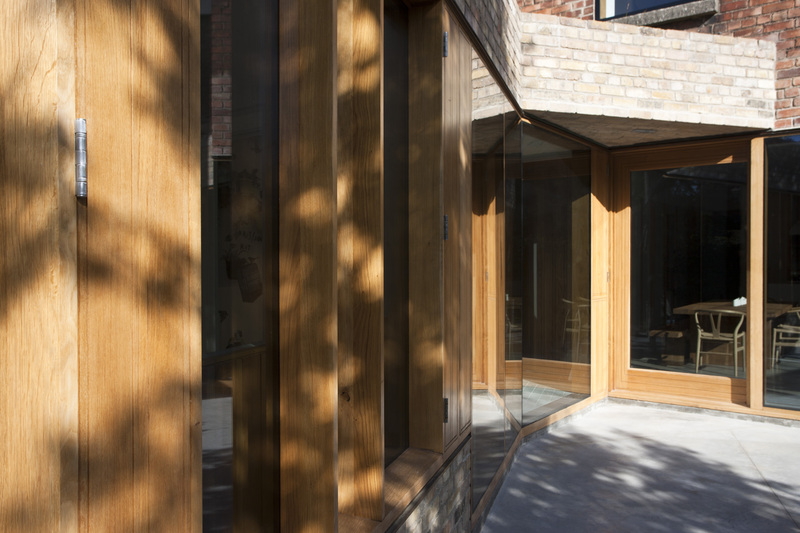 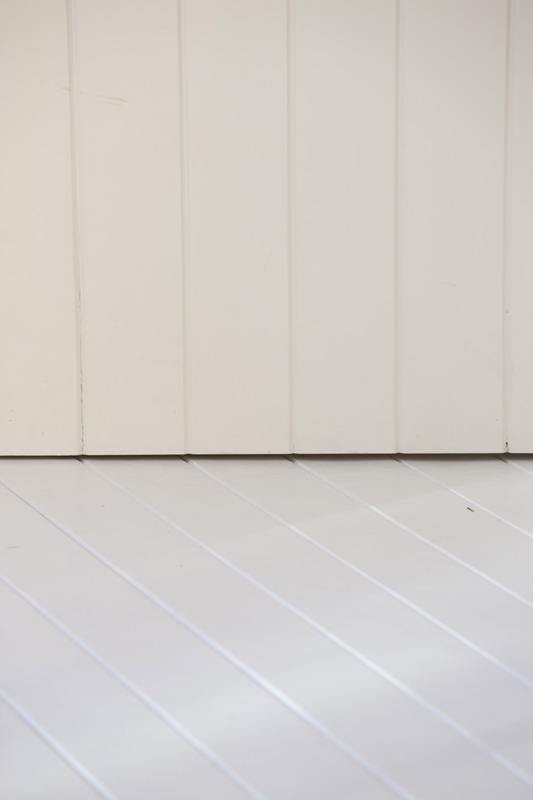 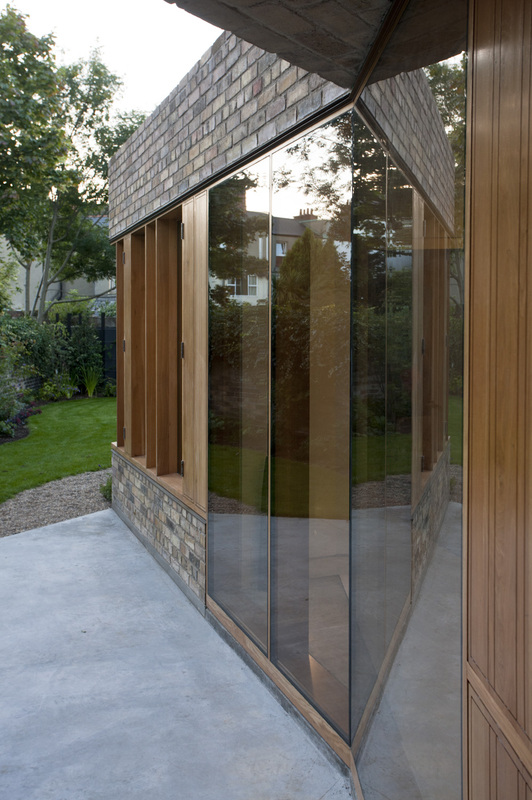 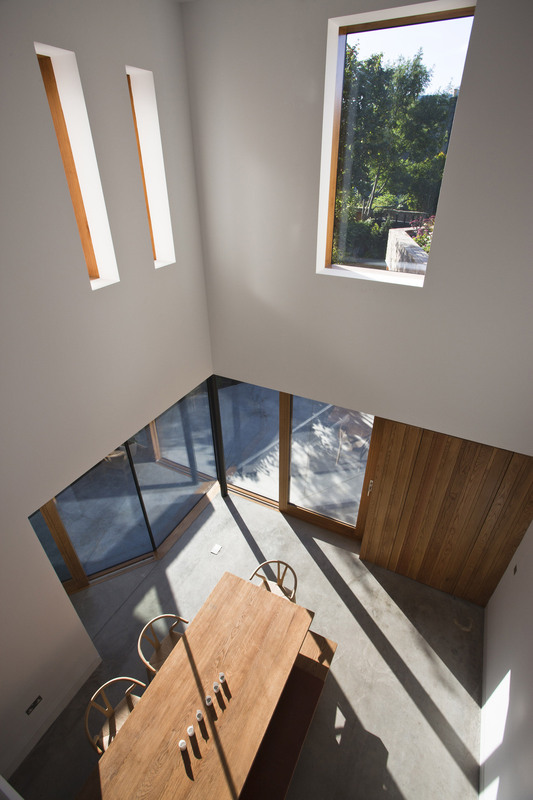 The angular extension provides a utility area without disrupting the relationship of the main house and the garden. 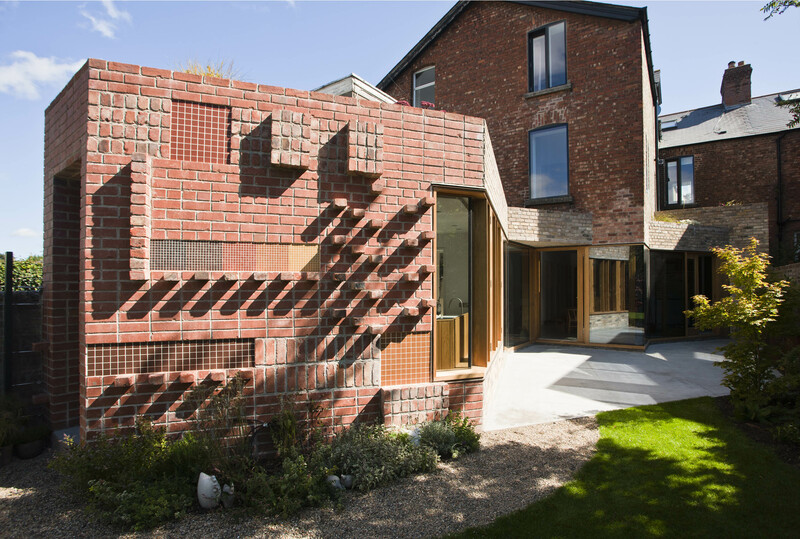 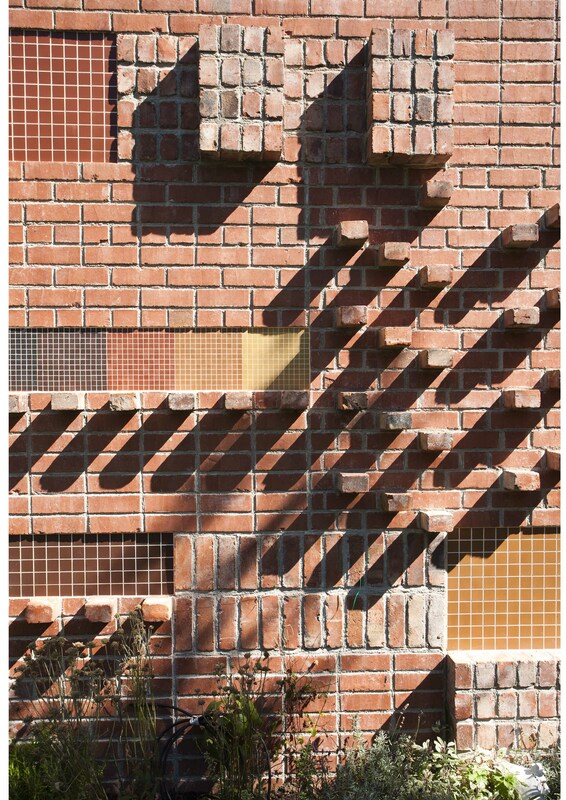 This extension has an experimental brick wall as an homage to Alvar Aalto.